July | 2011 | "組織搜索隊 , 到可能地區 , 作徹底搜尋。" July 2011 – "組織搜索隊 , 到可能地區 , 作徹底搜尋。"
I think overall this year’s exercise has been a success. Hongkong Post has quietly fixed a postbox that we alerted them of its need to be so fixed (I said quietly because they didn’t reply to my email but just went ahead and did the repair; for the same reason I’m hopeful that they will “quietly” do something to the several postboxes that we’ve written them about; they’ve so far given a rather vague and non-committal reply) and assured us that another one is just being temporarily removed due to roadwork in response to our another email. Also, despite the poor conditions of a few boxes, the overall picture is quite promising: none of the 60 that we have access to (the Shau Tau Kok and Shek Pik boxes we cannot get to) has been permanently removed and most have been repainted and are in fairly good conditions. I believe what we have been doing has made a difference to historic postbox preservation in HK and I think we can all take pride in that. We shall do another checkup next year in autumn/winter and I will set up another event on FB and invite you then. See you all soon. This is a rather vague, non-committal reply, which is somehow expected – well, afterall, the Commissioner for Heritage’s Office has only limited remit of authority and cannot speak for Hongkong Post or order it around. I am hopeful that Hongkong Post will “quietly” (i.e. 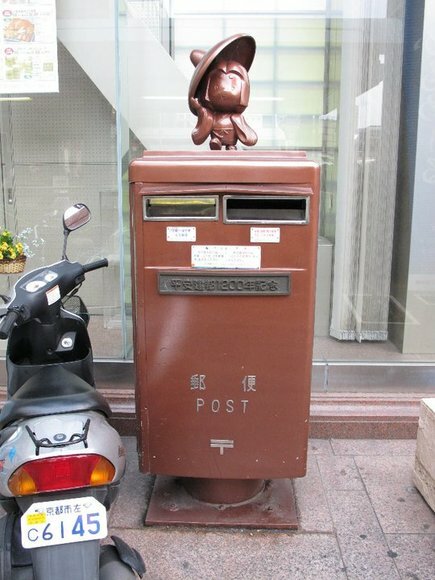 without informing us) fix the 6 postboxes for which we have expressed concern about their conditions ( there was one we wrote them about that Hongkong Post has fixed “quietly”) and I’ll check on them again to see if there’s any improvement in the next couple of months. Thank you for your e-mail dated 7 July 2011 sharing with us your valuable information on the conditions of a number of historic post boxes. You may wish to note that Hongkong Post (HKP) is providing general maintenance for the posting boxes through routine maintenance by its contractor. We are working with HKP to monitor the condition of and identifying preservation options for the nine posting boxes identified because we believe in-service and in-situ preservation would be the best option to be explored first. Regarding the Edward VII posting box mentioned by you, we understand that there is one currently reserved by HKP for future display purpose. HKP did not recommended it to be put into service again and will arrange to display it when there are suitable occasions. Thank you once again for your valuable suggestions. 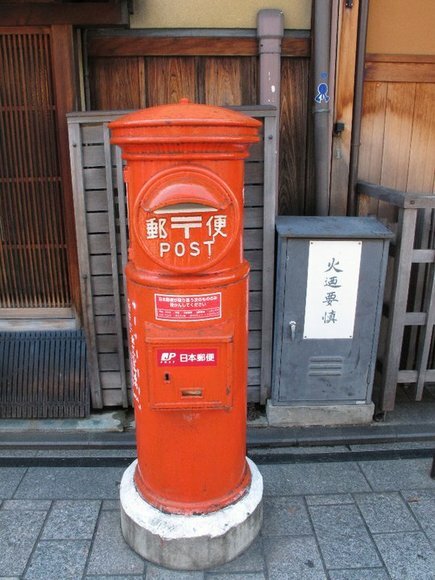 I take the liberty of writing you again to bring to your attention the wanting conditions of several historic postboxes – especially two King George V boxes which are included in the Commissioner for Heritage’s Office’s nine-postbox preservation plan mentioned in 活化@Heritage Issue No. 13, June 2010 – that my friends and I have noticed in our endeavour to do an annual check up for all historic postboxes in Hong Kong. Postbox No.162, Fu On House,Tai Wo Hau Estate: graffiti defacement.http://hkpostbox.xanga.com/717768245/%E6%90%9C%E7%B4%A2%E9%9A%8A%E5%9B%9E%E5%A0%B1—–%E9%83%B5%E7%AD%92162/? I hope that attentions in the form of regular maintenance and repainting will be accorded to these living historic relics in Hong Kong. Also, as there is currently no Edward VII postbox present either on the streets or museums of Hong Kong and I understand there is still one such pillar box in storage by Hongkong Post, I would like to suggest that the Commissioner for Heritage’s Office explore with Hongkong Post the possibility of either re-installing it in active service or displaying it in a suitable museum or venue.